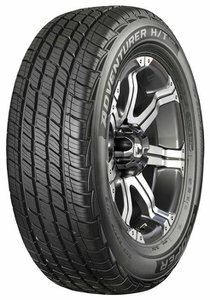 The Adventurer H/T is a highway light truck rib tire that provides trusted all-season performance and dependable wear. Designed to provide enhanced wet and winter traction with increased tread stability, the large, solid sholder elements help resist abnormal wear. R-Tech construction is a sidewall construction feature that improves responsiveness in all driving conditions. 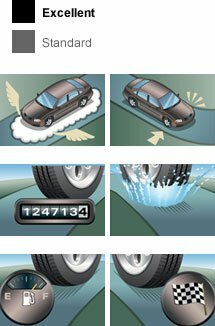 The tire responds more quickly to driver input.